It is no secret that the Gears of War franchise is coming to Xbox One. The franchise was a major success on the Xbox 360, joining Halo as a true Xbox brand. Unlike previous games in the franchise, Gears of War 4 revolves around JD Fenix, the child of the previous generation’s protagonist, Marcus Fenix. 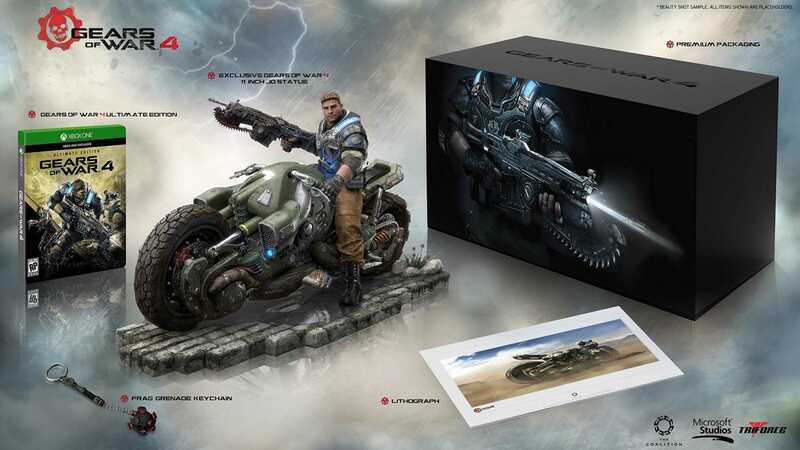 Thanks to an early listing on Amazon, it has been revealed that Gears of War 4 will come in two flavours: a Collector’s Edition and an Ultimate Edition. For those who like to spend a lot of money, the Gears of War 4 Collector’s Edition has you covered. It will give you access to the game four days earlier than the other editions, and includes a limited Ultimate Edition SteelBook case. Along with that, you will also receive a vintage VIP cosmetic pack that includes two weapons skins and vintage skin for JD Fenix. Also included in the box is an 11-inch JD Fenix and COG Bike statue from Triforce. 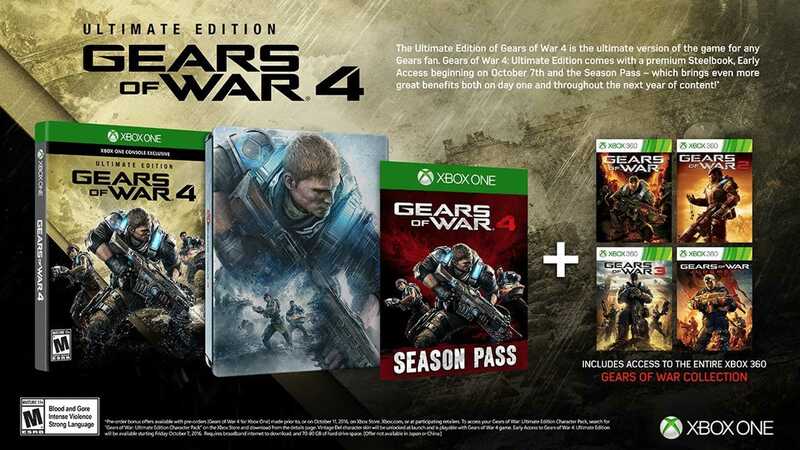 Fans will also be glad to hear that the Gears of War 4 Collector’s Edition will include the Season Pass! Under the second curtain, the much cheaper Ultimate Edition is essentially the same as the collector’s edition, minus that awesome statue. As such, it includes a SteelBook case and the Season Pass. This edition of Gears of War 4 will undoubtedly be the most widespread of the two special editions. Both versions of the game include access to the entire Gears of War franchise for Xbox 360. 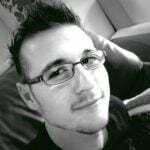 Each of the older games are made available via backwards compatibility downloads for Xbox One. The Gears of War 4 Collector’s Edition will set you back $249 USD (~R3600) whereas the Ultimate Edition will cost only $100 USD (~R1400). 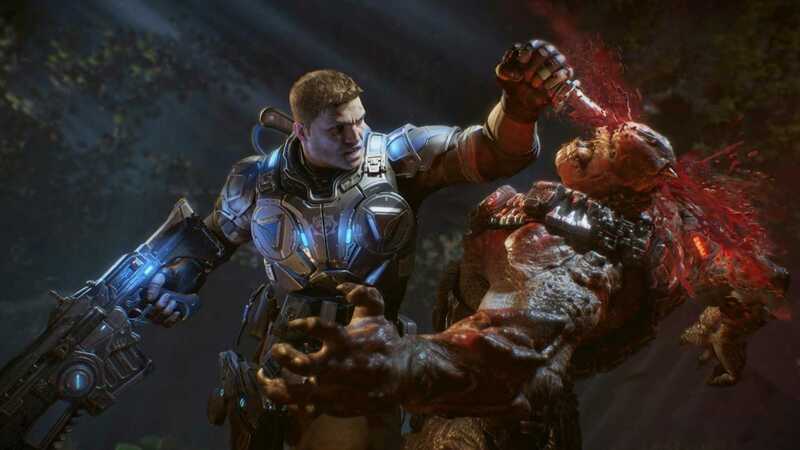 Gears of War 4 will be a Xbox Play Anywhere title, meaning that one single digital purchase gives you the game on both Xbox One and PCs running Microsoft Windows 10.